Want to get cash for your Halloween candies? Happy Halloween !!. Hope all of you had a fun Halloween. I am sure there are lot of candies in your house right now and you are wondering what to do with them, I have a solution and read more to know what it is. For kids wearing funny costumes and getting access to the candy world that is usually denied to them is something very exciting. I like Halloween because I get to know my neighbors better. This year my son was dressed up as an Iron man and my daughter was a Princess. On Halloween day my kids were so excited to go trick or treat in the neighborhood. They were determined to fill their Halloween pumpkin buckets and they did !! As a parent it is hard for me to say “no” to eat all the candies my kids collected. I think every parent goes through this . There is a lot of drama involved in this process. My kids dont let me touch the candies the first day. Then I let them pick 4 candies and always confused as to what to do with the rest of them. If it stays around the house either me or my husband would end up eating them. This year I found out about a wonderful program called “Halloween Candy Buy Back Program “. 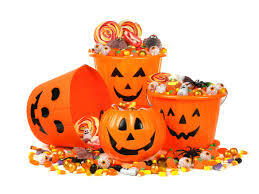 Through this program dentists and other small organisations are coming together to collect the Halloween candies from kids and send it to the troops. They pay for the candy Yay !!!. Go to their website Halloween Candy Buy Back and check for the dentists who are enrolled in this program, within few miles from your house. Then call their office to check for a good time for you to drop of the candies and get paid for it. Usually they pay around $1 per pound of candy. Hope you found this post useful .To get more updates like my Facebook Page or subscribe to my blog by entering your email id on the home page.